Yet another stylish hoodie from our floral pattern hoodie collection. This Hipster Floral Pattern Hoodie is a best seller of ours. 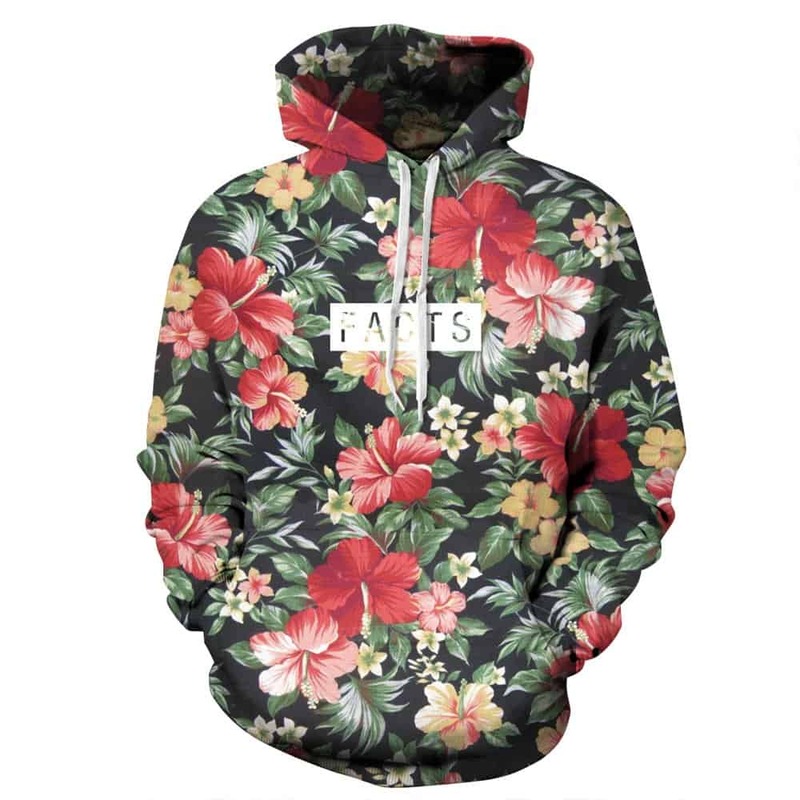 It features a white ‘Facts’ logo written over the chest, on top of a stylish floral pattern. The hoodie is comfortable to wear, looks fashionable and is wearable anywhere. It was designed for both male and female.